Owls of the World by James Duncan (New Holland Publishers, London, 2018). 194 pages, 120 colour photos. Of all the birds in the world, there is probably no group that is more instantly recognisable, more popular or that features more in our cultures than owls. This is odd, as by their nocturnal nature, they are probably the birds that we see least of all. I have always been captivated by owls, so I was fascinated to see what this latest book had to offer. 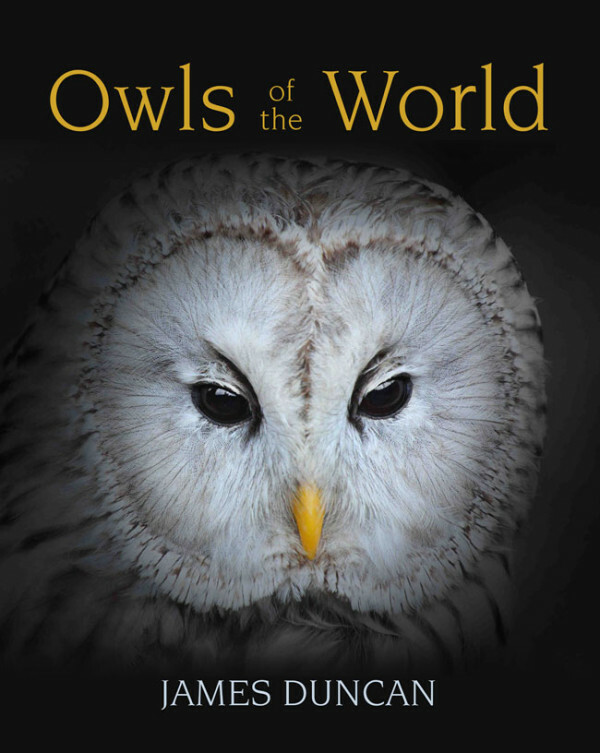 Seeing the title, Owls of the World, my initial thought was that it would be another illustrated catalogue of the world's owl species. The book does have a complete list of all the 240 species; however, this forms but a small part of a much more comprehensive review of owls, their biology and place in our world. The sections on the biology successfully avoid being over-technical and instead present a very readable explanation of the features that make owls such a unique group of birds. Few birds feature more in mythology than owls. To some, the upright stance with large forward-facing eyes gives the birds an almost human-like appearance that is often interpreted as one of wisdom. To others, their strange nocturnal calls are seen as evil and often the harbinger of doom. This dual identity sees them protected and encouraged in some cultures but loathed and persecuted in others. About a third of the book is devoted to owl species. Aside from the systematic list, it has short sections on each genera of owl, using a few specifics to illustrate their unique characteristics. It was interesting to read the author's assessment of the future of owls in this ever more populated world. A number of mostly island endemic species have already become extinct and quite a few more of these restricted range species are threatened, usually by deforestation. As our woefully limited knowledge of many owl species grows, new species are being discovered, such as Long-whiskered Owlet in 1976 or Forest Owlet, which had long been considered extinct, rediscovered in 1997. Add to this the many splits, principally of isolated populations of hawk-owls in South-East Asia and the future looks interesting indeed. This book is a real mine of fascinating facts. Though I have been intrigued by owls all my life, I frequently found myself learning something new as I read through. Did you know that in India up to 1,000 owls are killed by shamans to ward off evil spirits during the festival of Diwali? Or that the endemic New Zealand Laughing Owl went from being a common bird to extinction by 1914 due to the introduction of domestic cats into the country by the white colonists? A special mention must be made of a cracking selection of photos of a wide range of species, some of which are seldom photographed.